I observe from Ceccano (FR, Italy), 90 km south of Rome. I graduaded with full marks in Physics (Astrophysical address) at the University of Rome “La Sapienza” and I earned a PhD in Astronomy at the University of Rome “Tor Vergata”. My interest in astronomy started late in the ’70s, inspired by those old science fiction series: Star Trek and Space 1999. In 1980 I read a book titled “La Conquista del Cielo” (“The Conquest of the Sky”), by G. Ruggieri. I was definitely captured by the images of nebulae and galaxies. In 1983 I received my first telescope, a 6cm refractor. With it, I managed to observe the Moon, the Sun, a few double stars and the Great Nebula in Orion. In 1985 I received a new telescope, still perfectly working: a Vixen 150mm-f/5 reflector with computerized equatorial mount: thanks to it, I observed tons of deep-sky objects, especially galaxies and star clusters. Few years later I started doing astrophotography and, after the first attempt,s the technique was good enough to have some pictures hosted by national magazines and newspapers. On Aug. 4, 1989 I was the first in Italy to spot the desappearance of one of the Jupiter’s equatorial bands. As for my scientific interests, I started studing the cosmological distance ladder issues and the determination of the Hubble Constant; then, I switched to searching strategies for the near-Earth Objects (NEOs), with special attention for those having their orbits entirely inside that of our planet (inner-Earth objects, IEOs): for these activities I was involved in the CINEOS project (at the Astronomical Observatory of Campo Imperatore). 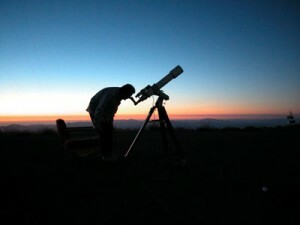 Since 1988 I’ve been a very active member of the staff of the Astronomical Observatory of Campo Catino. 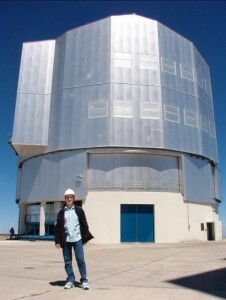 During my PhD, I worked for several months at the European Southern Observatory (ESO), Chile, where I performed photometric and astrometric observations of NEOs and comets from La Silla. My current scientific activities include minor bodies in our Solar System (comets and asteroids, especially NEO), variable stars (mainly cataclysmic) and exoplanets. Since 1992 I’ve been member of the Ulysses Comet Watch Network. From the same period I started my interest for a new topic: the CCD (Charge Coupled Device) technology and its use in astronomy. One of the most intense periods of my astronomical life has been the passage of comet Hale-Bopp, which was followed for several months, especially when it was particularly bright. I collected more than 500 images using a SBIG SBIG ST-7 together with my old 150mm telescope. As for comets in general, I was involved in the “Small Telescope Science Program“, managed by the team of the space mission Deep Impact ( NASA, JPL, Ball Corporation). On 1 Aug. 1997 I discovered my first variable star, close to the famous “Dumb-bell” (M27) nebula. A few months later, I started doing astrometric observations of minor planets and comets (with data sent to the Minor Planet Center, which assigned me the MPC code “470 Ceccano”) and I discovered the asteroids 1998 DA, 1998 TL7, 1999 CN10, 1999 CL12, 1999 NC1, 1999 PK, 1999QV1, 1999 RA, 1999 RN, 1999 RS2, 1999 RL35, 1999 TN4, 1999 TZ10 and 2000 YJ8; I also codiscovered asteroids 1998 SY2, 1999 RQ32, 1999 RC34, 1999 RR34, 1999 TO, 1999 TP, 1999 TQ, 1999 XS38, 1999 XT38, 1999 XE104, 1999 XF104, 2002 NJ34, 2002 OQ7, 2007 EE88 . On the Feb. 1998 issue of the famous “Sky & Telescope” magazine, there was a paper of mine showing how to use CCD cameras under light polluted skies. I study cataclysmic variable stars in cooperation with the Astronomy Department of Kyoto University and the Center for Backyard Astrophysics, hosted at Columbia University, NY. Over the years I’ve observed basically any kind of astronomical object, discovering many interesting ones as asteroids, exoplanets (I co-discovered exoplanets XO-2b, XO-3b and MOA-2008-BLG-310Lb) and variable stars. 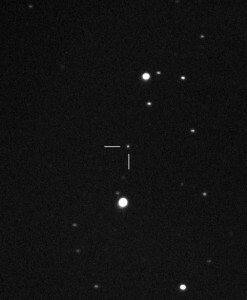 On June 2015 I co-discovered the historic supernova ASASSN-15lh, the most luminos supernova ever recorded in human history. The increase in the observing activities was possible since 1997 thanks to the availability of a C11 OTA, and later of C14 OTA on Paramount ME robotic mount, remotely controllable via the Internet. Today, the Virtual Telescope Project offers two amazing robotic telescopes, with endless application chances. The public activity has been very intensive, too. I gave many conferences around the world on different astronomical topics, very often motivated by special events. Since Sept. 2004 I collaborate with the Planetarium of Rome and since Jan. 2006 I’m curator of the Planetarium as an astronomer of Zetema Progetto Cultura. 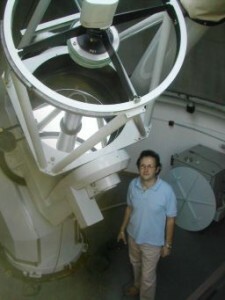 From June 2008 to 2011 I’ve been vice-director of Coelum Astronomia magazine and Director of the Coelum Stream project. Since 2010 I’m National Coordinator in Italy for Astronomers Without Borders. Since 2014, I’m the scientific director of the “Acquaviva delle Fonti” astronomical observatory. Since 2016, I’m National Coordinator in Italy for Asteroid Day. Since 2019, the International Astronomical Union (IAU) appointed me as IAU Dark Skies Ambassador, to preserve dark skies against light pollution. Since 2009 I collaborate with “Geo&Geo”, a well-known Italian TV show popularizing natural sciences and from 2010 I strongly collaborate as guest with “Cose dell’altro Geo”, a well-known TV show presending many themes related to natural sciences, where I offer my skills in astronomy and science communication. Over the years, I won several international prizes, including the Ruggieri Prize by the ‘Unione Astrofili Italiani (2003), the “Shoemaker NEO Grant“ by the Planetary Society (2005) and the Tacchini Prize by the “Società Astronomica Italiana” (2006), for one of the five best PhD thesis in Astronomy in 2006. The asteroid (21795) is named “Masi” after me, acknowledging my astronomical researches and activities. NASA did an Internet website to introduce children to space science, considering my case as the example of a young, very active observer. I love classical music, especially Bach, Brahms and Mahler. I find of great interest the history of these great composers and see how some of their masterpieces were inspired by the skies. The Virtual Telescope is my last effort: its goal is to offer to everyone in the world a chance to look at the Universe, even to those without an advanced instrument or resource, both for science and fun. Also, photography is another important area of interest for me. I’m been imaging since my teen age, also doing a lot of work in my darkroom. You can visit my portfolio here. Publications (this link does not include publications on popular magazines/newspaper); citations on the web (Google).